Here at Anchor & Den we are lucky to have many members of our team who hail from the motherland of Oktobterfest and they know a thing or two about the real deal! We wanted to share the knowledge we received from our Bavarian friends and list the top 5 must do's that you need to add to your agenda for Friday! We believe that you can’t have an authentic Oktobterfest experience without trying a real German beer! Stop by the Augustiner Beer Stall and grab yourself a bottle of this rare and delicious beer! 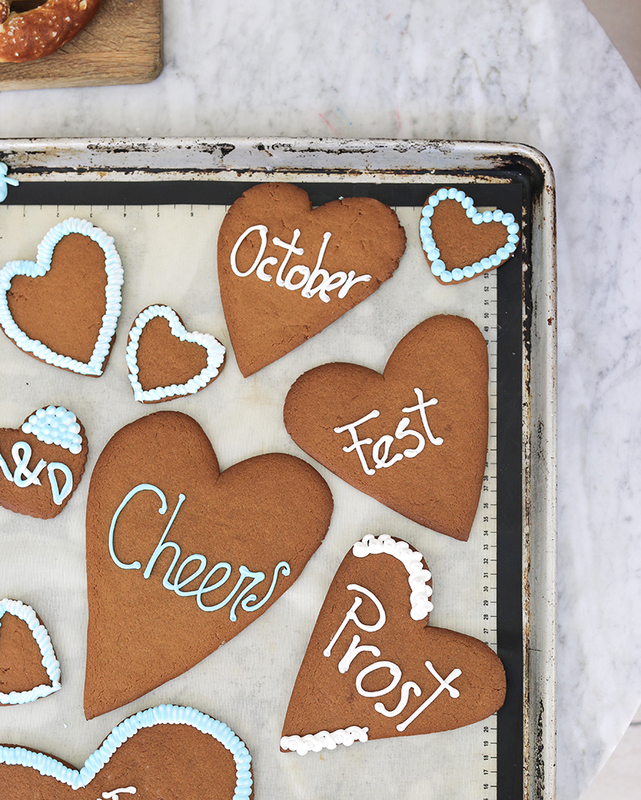 Visit the Lebkuchen Stall - where you can create your own personalised gingerbread hearts! This old tradition made famous at Munich’s Oktoberfest are given and received during the celebration throughout the week. Baked out of gingerbread dough (Lebkuchen) these delicious treats are legendary. Stop by the Lebkuchen Stall and grab yourself a souvenir from the night or create your very own personalised treat to give to a loved one! It’s nothing but traditional! … and delish! Eat as much sausage as you can! Make sure to step outside into the courtyard and get a real taste for classic German cuisine! Grab yourself a plate and tuck into some sausage, sauerkraut & schupfnudel (like a German gnocchi) washed down with a beer - absolutely delish! Or visit the fresh pretzel stall where you can wolf down some warm pretzels with ‘white sausage’. This dish hails from the Motherland of Munich and is as German/moreish as it comes! Purchase a handmade Beer Stein as a souvenir. One of the fun activities that we are really looking forward on the night is 3 Girls and a Kiln’s German Beer Steins station. Watch the girls in action while they customise these iconic Oktobterfest steins! You can purchase one of these exclusive steins on the night and if you fancy, fill it up and sip away! Or if you enter the raffle, you could be one of the nine lucky winners that will take one of these amazing creations to continue the celebrations at home! Of course, we can’t throw an Oktobterfest without strudel! Wander by the Strudel station and try a variety of different strudels. Form savoury to sweet - all the flavours will take your taste buds to the heart of the festival! Now you have your agenda, we hope you’re all pumped up for Friday’s festivities and we’ll see you there, Lederhosen’s and all!